Restorative dentistry is a branch of dentistry that emphasizes repairing or replacing damaged natural teeth. Restorative dentistry can give your smile new strength and a fresh appearance. 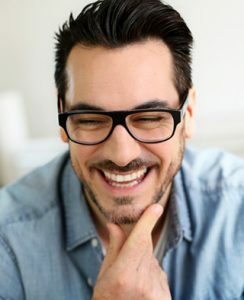 Our dental team is highly qualified and practiced in restorative dentistry techniques. We know how to give our patients comfortable procedures that end in functional and attractive smiles. Dental Crowns | If you have a tooth that is weak, chipped, broken, decayed, or discolored, you can revitalize it with a dental crown. Dental crowns can help you can avoid extraction and replacement. Your beautiful custom-made porcelain crown will strengthen the damaged tooth and give it a natural appearance that blends with the rest of your smile. Dental Bridges | Dental bridges can “bridge the gap” caused by missing teeth. A dental bridge consists of two dental crowns and a replacement tooth that will restore the function of your smile. You will be able to chew and speak with ease again. You’ll also feel more confident every time you socialize and smile. Dental Implants | If you’re missing one or more teeth, dental implants are a top-of-the-line solution. Each dental implant serves as a replacement tooth root and an anchor for a brand new tooth. Dental implants stimulate the jawbone to keep it healthy and strong. They create a fully functional smile that will last you for a lifetime. Tooth-Colored Fillings | When Dr. Pryor finds a small cavity in your smile, there’s no need to worry. Your tooth-colored filling can be placed in minutes, and will protect the tooth from further damage. Unlike metal fillings, tooth-colored fillings will look flawless with the rest of your smile. We can give your smile a much needed boost with restorative dentistry at Pryor Family Dental. To learn more about our restorative dentistry services, please give us a call today.